I am new to wooden boats, I've had a few fiberglass boats so I know their general maintenance. I am thinking about buying a 1952 47' Chris Craft that is wooden. I'm wanting to know how often i take it out of the water for maintenance. And how often do I caulk it. Their is a patch on the front where it looks like it has hit the dock. It looks sturdy but should I be concerned. If the caulking is in good condition Then only the putty will require a little attention in a few places each haul out. One can go the way of rakeing out the seams ( getting all the putty out) cleaning them up prime them with sika primer and sika flex a big job but sometimes well worth it. I have sikaflexed the 2 waterline seams on my own boat and have not had to touch them for over 10 years. There is also a soft epoxy that can be used on the seams, I am not familar with it myself but it is supposed to be very good. PS get a VG wooden boat surveyor to check the boat before purchase, it will be money well spent. What would be your reason for owning this boat? Older wooden pleasure boats are not for the feint of heart, or the for that mater people with limited resources. The cost of refastening the hull would cost close to $20,000 in screws alone. If YOU ARE IN LOVE WITH THE BEAUTY OF THIS BOAT AND HAVE THE MONEY TO POUR INTO A CLASSIC WOODY , THEN GO FOR IT. If not run as fast as you can. Many older wood boats end up as abandoned projects, cut up and scraped because owners get in way over their heads and can't finish the project. The repairs often exceed the value of the boat in pristine condition. The ideal berth for a wooden boat is in a covered berth resting in salt water in a cool climate. What appears to be a small amount of damage can and often is extensive. A little dry rot here and there can and probably will cost thousands to repair. If the boat is berthed in the sun and weather, you will not be able to keep up with the ongoing maintenance without help. If you were given this boat for free, and it needed to be refastened and had some structural problems you could spend more money and time restoring it to safe operating condition that it would be worth. A wooden Chris of that age will have been refastened at least once maybe twice. The frames will look like pin cushions and the bottom planks may not except more screws. You could end up rebuilding the entire bottom, keel, deadwood, frames, planks and all. If you decide to move forward with this boat you need to have a survey done by a marine surveyor who has extensive experience with wooden ChrisCrafts. Starting nearly from scratch. Undoubtedly, this minimalistic sailboat (Bird-class sloop) will take a six-digit dollar figure to restore. Some wealthy person believes it worthwhile. Restoring an old classic boat is not about value but the enjoyment and selve pride. Its like restoring old cars/housing/whatever. It becomes a passion part of your life. We bought the Eagle based on a good deal/value, but we learned/understood we bought a limited number one of a kind boat to a point time/money was not so important. I agree that a person that buys a older classic need to have the cash flow an d/or the time. However if repair/remodel are prioritized, not take on to much, a liile at a time and budget accordingly. Its more a matter of the heart, not the mind. Phil, that is a great sentiment but if ya ain't got deep enough pockets on a boat like that Chris Craft and she ain't got good bones to start with run away. They are beautiful when someone else owns them and pays for the upkeep. That is true, which the individual has to find out and make a decision/commitment. My folks and family thought we are crazy, and still do. However we bought the boat for other reasons beside boating. So there maybe other primary factors/reasons for what others might think is crazy. Mate do what you want. Don't ask a forum to make a decision for ya! Everyone has their options (like I am now) but this is all smoke on the water. No pun intended. Most people think I'm nuts but do I or should I care about that? I mean, there are some wooden boats I wouldn't touch but some I wouldn't hesitate but I have a supportive wife that shares my vision. Passionate, yes. Crazy, not so much. Don't do it to sell. Do it cause you want to do it and enjoy it. I've not built a boat before and I'm having a cracker of a time. Sure there's moments i sit back and go WTF am I doing but they pass as quickly as they come. Ask questions and use google. For it to be a 1952, it's says it has been refastened in 1994. How much longer till it should be refastened again? 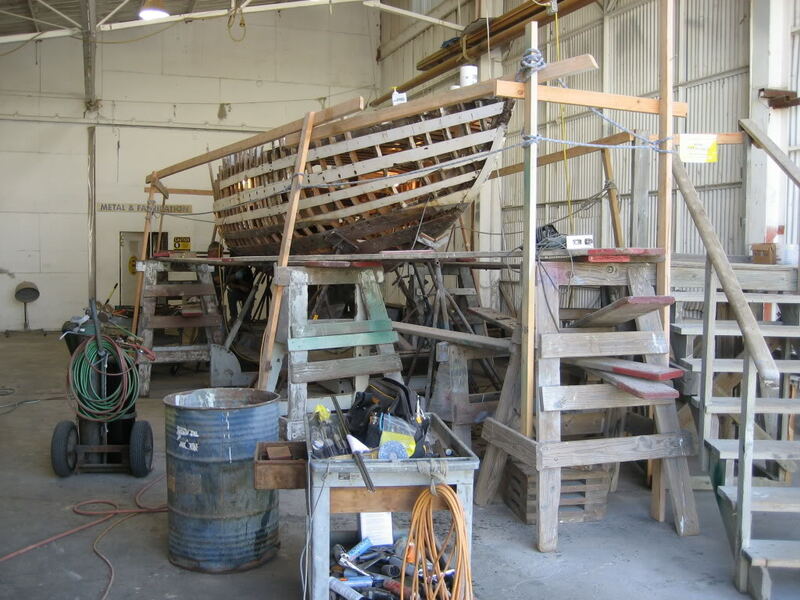 I spent a lot of my Coast Guard career involved with the sinking of wooden boats....restoring and caring for a wooden boat can be rewarding...but costly and/or time consuming if you want it to be truly "seaworthy". Take some out and look for any crevice corrosion etc. But if you don't know what refastening is...you might try space travel before seriously considering wooden boats. Dean, no one here is insulting your intelligence, making fun, or belittling you. It is just becoming very obvious that you are in Way over your head. I love wood boats, but bought a glass tub because I figured out very quickly there was no way I could keep up with a woody. My compromise, though maybe not wise, was to get a fiberglass with lots of Teak. http://www.trawlerforum.com/forums/s...raft-6833.html Look through this post to get an idea of what refastening might look like. We are now at $30,000 in silicon bronze fasteners. This project is going to cost close to $90,000. I have seen $140,000 spent on refastening on 50ft wooden boats. Refastening is generally replacing, adding to existing screws that have failed due to electrolysis. The screws fail as the zink leaves the bronze leaving a very week porous copper screw that crumbles on removal. The wood adjacent to the screws is damaged as well so you generally have to replace with larger longer screws. Stainless is not an excepted alternative as an under water fastener in wood. Stainless is not an excepted alternative as an under water fastener in wood. We are now at $30,000 in silicon bronze fasteners. Silicon bronze is promoted by the manufacturers because it is easier and cheaper to manufacture fasteners with it. The silicon is there to make machining easier, not to make your application work better or last longer. Aluminum bronze contains virtually no zinc, especially compared to SiBrz and is a far better material for underwater marine fasteners. For the number of screws you are looking at, contact one of the fastener manufacturers and get a quote for the amount you need. Now if it is a timber boat (planked) one would be copper nailing and clinching them or roveing them. No point in screwing into old ribs, at least if they are clinched they will come up tight and if the ribs are that sick then the boat will have to be sister ribed , ah bugger build a new boat.